Louis Pearson, a professional ecologist living in Nether Stowey, first suggested the idea of carrying out an ecological baseline study of the Friends of Quantock (FoQ) landholdings last year. We are delighted that we are now able to publish his full Report. The study is will form a reference point against which any changes to the plant cover and habitat can be measured for many years to come. Louis looked at all the available historical data with the help of SERC (Somerset Environmental Records Centre) in Taunton before carrying out detailed and mapped on site surveys on the 15th June and 2nd September 2018. We feel that this is an important achievement as, so far as we are aware, and somewhat surprisingly, there has not been any similar study carried out before on the Quantock Hills. 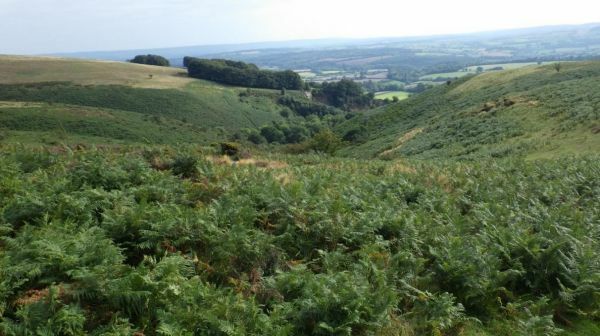 The Quantocks SSSI (Site of Special Scientific Interest)is cited as one of the most extensive areas of semi- natural habitat in South West England. It is a fragile and unique piece of natural history. It is also only just a start, and further, more detailed surveys would add valuable information to this baseline ecological assessment. It is hoped that, in the future, we may be able to work with some of the specialist groups coordinated by SERC to carry out, for example: botanical survey of the Flush communities; an invertebrate survey focusing on species recorded historically; a bird survey focusing on species recorded historically; and a reptile survey to determine population density and species distribution. Friends of Quantock are very grateful for the excellent work done by Louis Pearson.